Mark Hughes’ Stoke City has joined the chase to bring Super Eagles striker, Odion Ighalo back to the English Premier League in spite of the former Watford star’s £190k-a-week salary. According to Birminghammail.co.uk, West Brom, Newcastle United, Southampton, Everton and West Ham are also linked with the striker, who joined Chinese Super league side, Changchun Yatai for £30 million last year. Ighalo played a prominent role in Nigeria’s qualification for the 2018 World Cup, with his goals accounting for the massive victories over Cameroon and Algeria. He was Watford’s leading goal scorer in their successful promotion bid from the Championship to the English Premier League in 2015 and also accounted for 15 goals in his debut season in the top flight. Reports from Italy suggest the 28-year-old could be on the move back to England, where his family has stayed. Crystal Palace and West Brom showed interest in Ighalo last year, but they were put off by the financial demands. Ighalo is currently pre-occupied with his orphanage, the Ighalo Orphanage Home, which has been completed and would be opened next month. 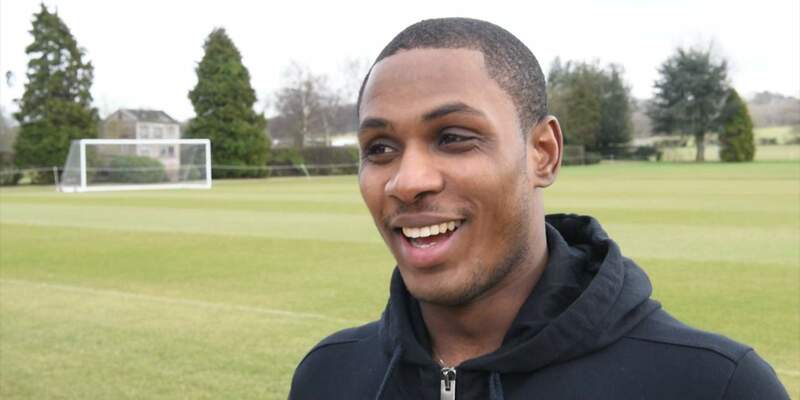 Meanwhile, Ighalo has admitted he would love to play against England at next year’s World Cup because he still remembers the good time he had in the country while playing for Watford. Ighalo said last week that he cherished the two years he spent at Watford, but now he says he wishes to get another feel of England by playing against them with the Super Eagles as group opponents in next year’s Mundial. “I have done well in England, so I want to face their National team at the World Cup. Every team at the World Cup are a top team, but there are some you don’t want to face early,” Ighalo said.